Here in the Golden State, sun-kissed rolling hills are covered with grapevines as far as the eye can see. We’ve selected three distinctive bottles of wine, a chardonnay, sauvignon blanc, and cabernet, and surrounded them with a bevy of delectable local flavors: English tea cookies, cheese, Dolcetto wafer cookies, California smoked almonds, sourdough crisps, salami, biscotti, California hard fruit candies and a Ghirardelli milk chocolate and caramel bar. It’s a tour of the wine country for all to enjoy. 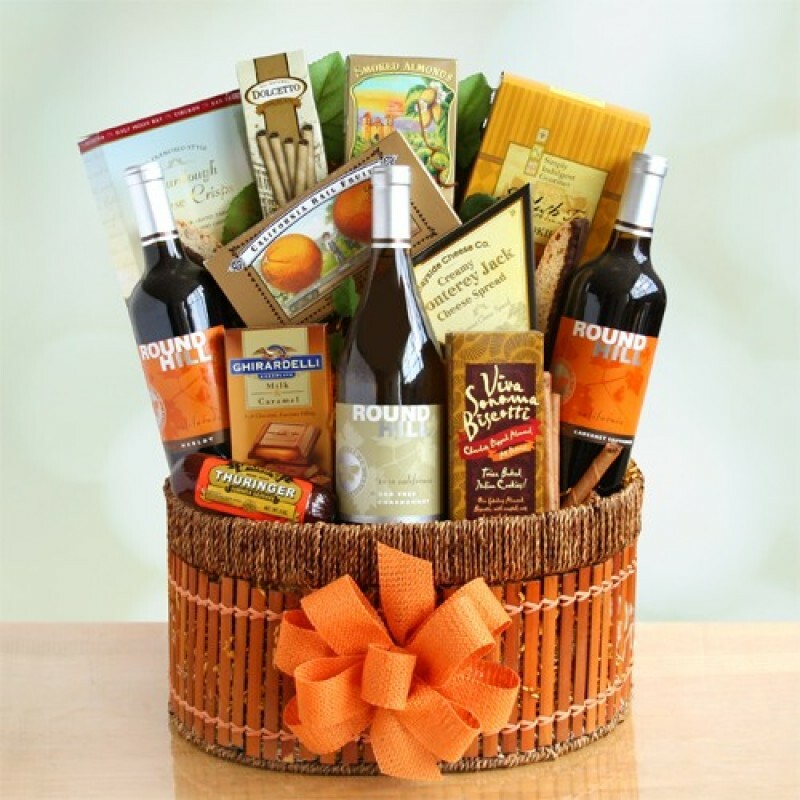 *An adult signature (over 21) is required to complete delivery for all wine shipments. We recommend shipping to a business address wherever possible to insure timely delivery.